Better than writing "IPA" on plain caps. Oxygen barrier liners. About 2" tall, 1" wide, with a 7/16" tapered top for tubing. ​Shaped like a can. Holds 16 oz. Make sure the brew is deserving. A 6 oz stainless steel vessel with our sticker. For coffee (or not). Fits both bottles and cans. Now with a 33% larger logo. Cheers! 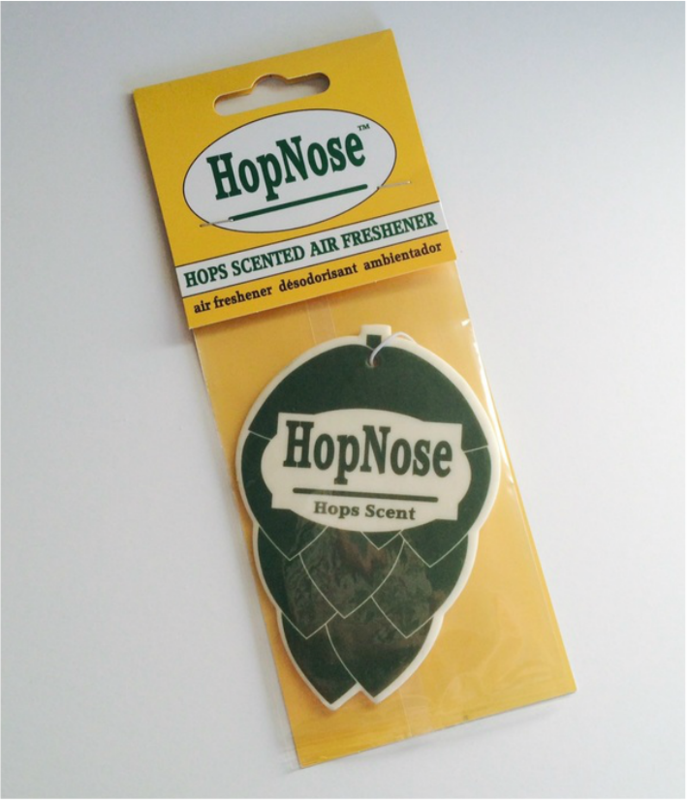 Ditch the pine tree with this hop aroma HopNose air freshener. B-Hoppy brand. Cascade, East Kent Golding, and Saaz flavors. Sow wax, fragrance, and hop oil. Metal tin is 2" across and 1" tall. Stripes, warmth, and a ball... what more does a hop head need? Simple black knit stocking hat with our logo. It's functional. Be hoppy. Be warm. Be cool. Order your beanie today! A standard cap. You don't even need to own a truck to wear it. It's digital camo, so no guarantee it will actually hide you. Once again, digital camo, but at least it's not bright lime green. Perfect for your next festival, homebrewing day, or everyday. This faux hop cone necklace is exactly what you've need. A nice accent to your keys that identifies you as a true hop head. Pin to win! You can't go wrong with this converted bottle cap. If you cringe at the sight of someone using their wedding ring to open a bottle, use this. Some say this is the only time beechwood should get near your beer. Approx. 4.5" long. This is a stainless steel wall mounted bottle opener. Two screws included. Inspired from our own hopyard sign. ​7" x 10" aluminum (.040). Read the sign. Don't be that person. 10" x 7" aluminum (.040). The trifecta! An 18" pine board with hanger. Ships to USA only. Subtly show off your passion with three simple letters on quality vinyl (3" x 4.5"). $1.99 for 3" x 3"
Here we've got our standard trademark logo on quality vinyl. Our founder has always had a passion for artsy stuff: sketching, pen-and-ink drawing, painting, etc... During the hop harvest this summer, he came up with the Mini Hop Art Collection. Acrylic paint on miniature canvases. Each painting comes with a tiny wooden easel. 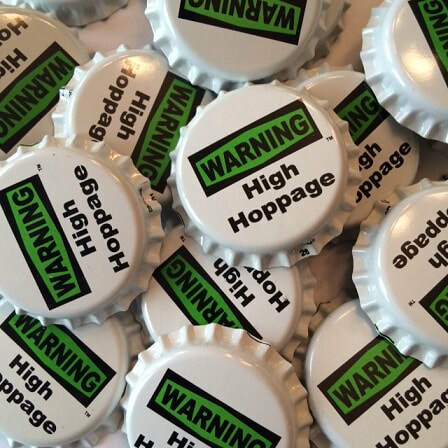 ORDER HOP MERCH AND BE HOPPY. We do a handful of trade shows each year and also have our hop merch for sale at these retail locations. 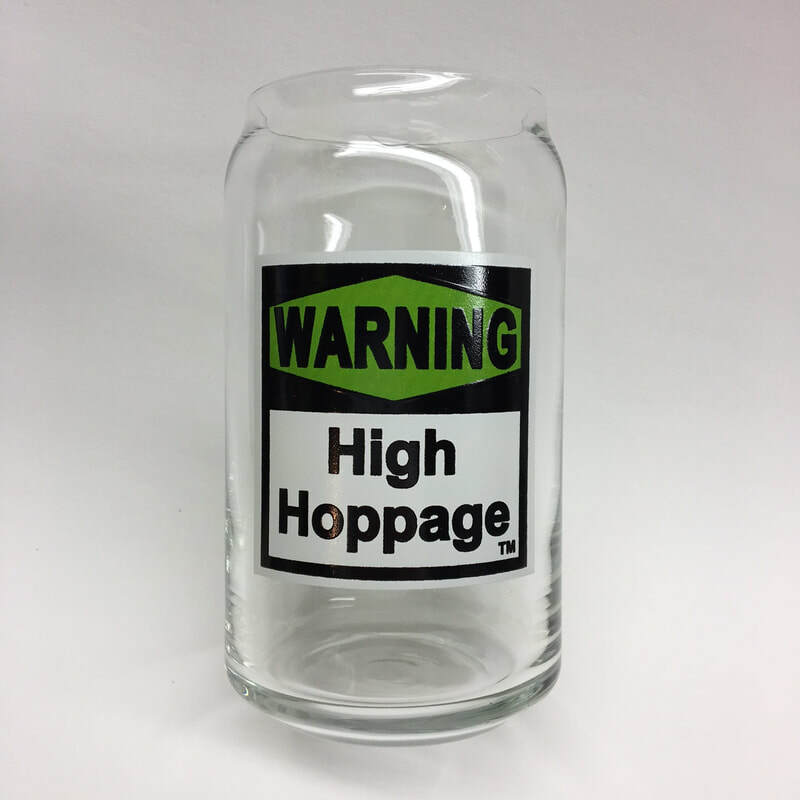 (For wholesale or bulk pricing on any of the hop merch you find here, please reach out to us on our contact page).